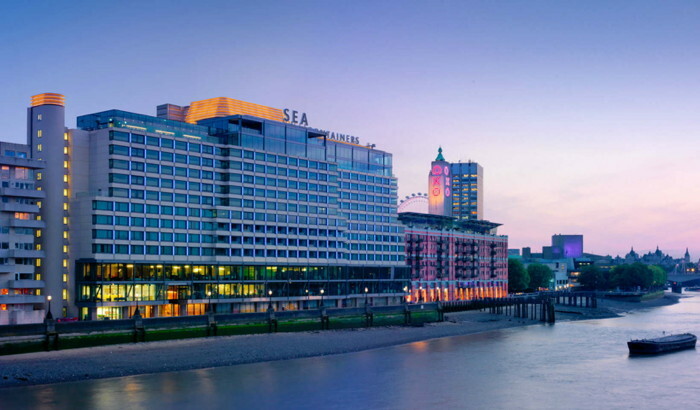 As of today, January 15, 2019, South Bank design hotel, Mondrian London will officially become Sea Containers London. Paying homage to the history of the iconic building in which the hotel sits, the new name will also mark the hotel's independent status, as it will now be managed by Lore Group, as part of its collection of independent hotels. Sea Containers London will continue to house riverside eatery, Sea Containers Restaurant, as well as the award-winning Dandelyan bar from Ryan Chetiyawardana (AKA Mr Lyan). Sea Containers London also offers a rooftop bar, 12th Knot (formally Rumpus Room), featuring an outdoor terrace providing unparalleled views of the River Thames. The hotel's acclaimed spa, agua, and Curzon cinema will continue to operate within the hotel as normal. As part of the hotel's new status, Sea Containers London will debut a fresh graphic identity and branding to reflect the next chapter in the hotel's history. A playful sense of humor has been incorporated into the Sea Containers London brand, with materials featuring classic images with pop art-style illustrations that reflect the nautical history of the building and the transatlantic design of the interiors. Billy Skelli-Cohen, CEO, Lore Group comments: "We're very excited about this new era and next step in the hotel's story. Our incredible hotel team will continue to offer guests an unrivalled experience at Sea Containers London. We have lots of initiatives in the pipeline and look forward to welcoming all our guests in 2019 and beyond."